The "Franks", Frank Castronovo and Frank Falcinelli have the magic touch. Their Frankies Spuntino restaurants (as well as their Prime Meats and Cafe Pedlar) are fan favorites. Everyone loves them! I had not had the pleasure of eating at any of their establishments until a few weeks ago, when I grabbed a quick bite at their latest spot, Frankies 570, in the West Village. And after my first visit I could see why their spots are hits. It's a great neighborhood spot to dine on seasonally-inspired Italian fare. Sicilian white anchovy crostini ($4), was superb and delicious. Beautifully dressed with olive oil, it was bites of anchovy heaven. 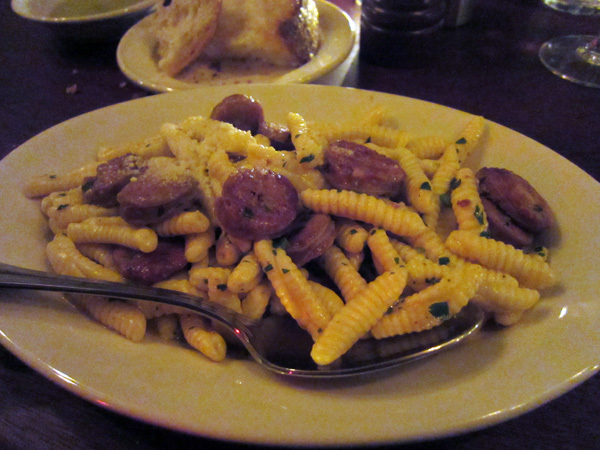 Cavatelli ($18) with Faiccos hot sausage and browned sage butter was my kind of pasta dish. Excellent. 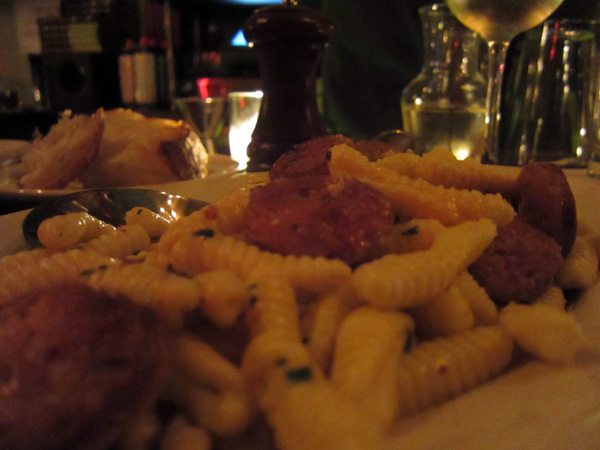 Perfectly cooked pasta, with juicy and tasty sausage, this dish was a winner, and had me craving more. So for a good Italian neighborhood joint, Frankies 570 hits the spot.